Welcome to part two of our blog series on common Mercedes repair issues and what you should do if you are experiencing them. As we stated in our previous post, Mercedes Benz, like every other vehicle made, will eventually need to have some repair work done. Because your Mercedes is a highly tuned machine, all of those moving parts can occasionally experience some issues. Here at Kudos Import and Performance, we don’t want those small issues to turn into major problems for any of our Chesterfield clients. We hope that by reading this post, and the post before it, you will be able to identify when it is time to bring your Mercedes into our shop to prevent major damage from occurring. Import vehicles, such as Mercedes Benz, require specialized mechanics. The mechanics at our shop have been working with Mercedes for years and have the knowledge and skills you need to handle any issue that may crop up. What issues could affect your vehicle? Continue reading below to find out. Vehicle Cranks but Won’t Start: This is an issue that can be very frustrating for Mercedes owners. They get in their vehicle, try and crank it, but the engine won’t turn over. The most common cause of this particular Mercedes issue is usually a problem with the crankshaft position sensor. This sensor is responsible for monitoring the position of the crankshaft and is used by your Mercedes to control the ignition system. If this sensor is faulty, your engine will not start. Unfortunately, this is a repair that most people don’t know they need until it becomes a major issue. However, longer than normal crank times are usually a precursor to a failure of the crankshaft position sensor. If you’ve noticed it is taking longer for your Mercedes to start, we highly recommend that you bring your vehicle in to have it looked at. Gear Shifter Stuck in Park Position: This is an issue that mostly affects E and S class Mercedes, but we felt that it should be mentioned in this post. This issue is caused by a failure in the selector module located in your gearbox and can be highly annoying. Typically, before this issue becomes a major problem, Mercedes owners will experience difficulty shifting from the park position. If you have been experiencing this issue we recommend that you get it looked at as soon as possible. If you don’t, you may find yourself stranded which is inconvenient no matter where it happens. Join us again next time as we finish up this blog series of the most common Mercedes repairs that you are likely to experience as a Mercedes Benz owner. 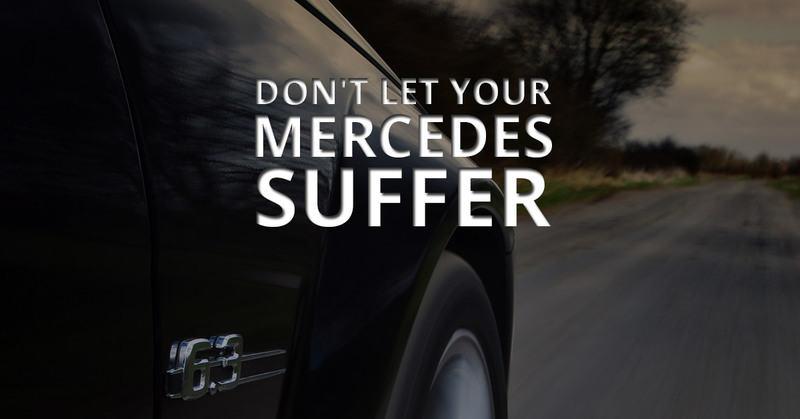 And, as always, if you have found that some of these issues are already affecting your Mercedes, give us a call at Kudos Import and Performance. We will run a full diagnostic on your vehicle to ensure that it is performing at its optimal level.